You can feel good for a lot of reasons, and sometimes you don’t even need a reason! The positive vibes are everywhere around us. We just need to be in the right mood to feel them and to let them get the better of us! You might think that this would be hard in a world full of negativity, but it is actually the completely opposite story! You see, there will always be negative stuff around, but it will never prevail. 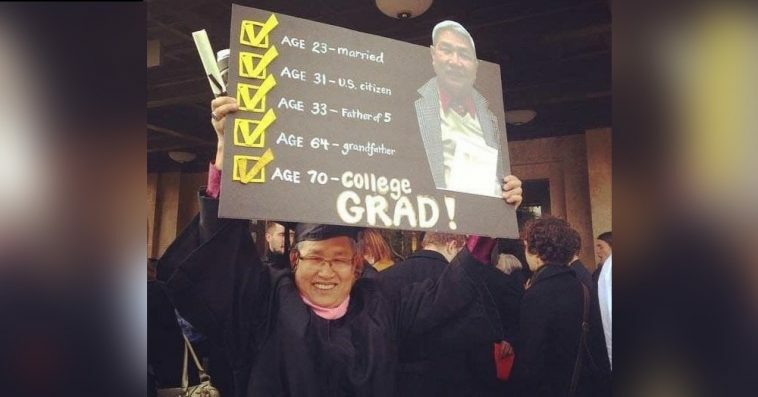 What matters is to chase your goals and keep a smile on, just like the man from the photo above. To prove everything we stated above, we created the following list for you to see. It will surely be enough to lift your spirits and make you smile. Enjoy these images! One Reddit user shared a story about their granny. The elderly woman loved playing all kinds of board games and card games, but she found it to be harder over time. The reason was her eyesight. It was getting worse and she could hardly see. Fortunately for her, there was a solution. They bought a very special gift for the woman! 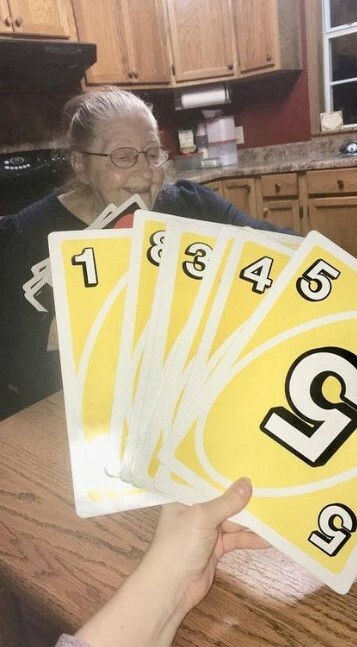 It was a set of oversized UNO cards and we are sure that she loved them! Sure, they might be a bit too big, but what matters is that she could read them without a problem! Most people treat their pets as children, and it is perfectly normal. They become more than just pets over time, because they are considered an important part of the family. The staff of one canine daycare understood that and made sure that the dog owners would be satisfied. This was the reason they started giving report cards for each day the dogs spent at the daycare! 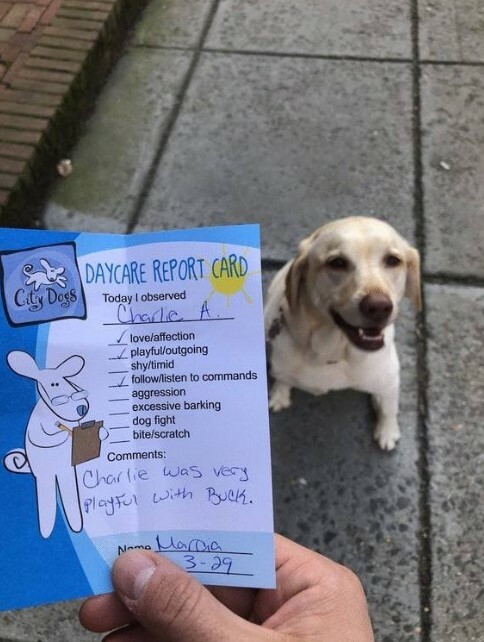 The idea is really sweet, and Charlie’s card is the best example we could see. He is obviously a good boy! Most of us has probably texted or dialed a wrong number. These situations often end with a quick ‘sorry’ and that’s about it. But the case here is completely different! 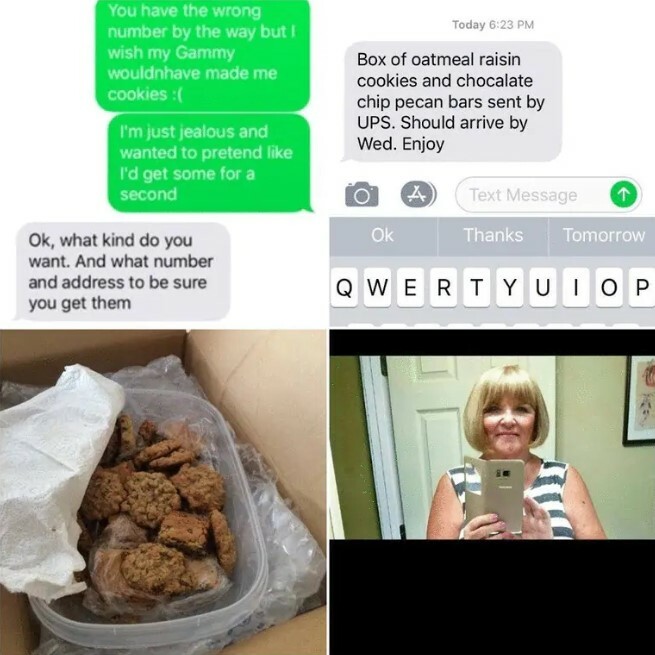 When this woman texted a wrong number about some homemade cookies, the respond was quite unexpected! The woman was obviously very compassionate and she did not hesitate to send the stranger she texted some cookies! This is the kinds of things we would like to see each and every day! It might seem strange to see a vase like that, but there is an explanation. And that explanation is a rather unusual one. 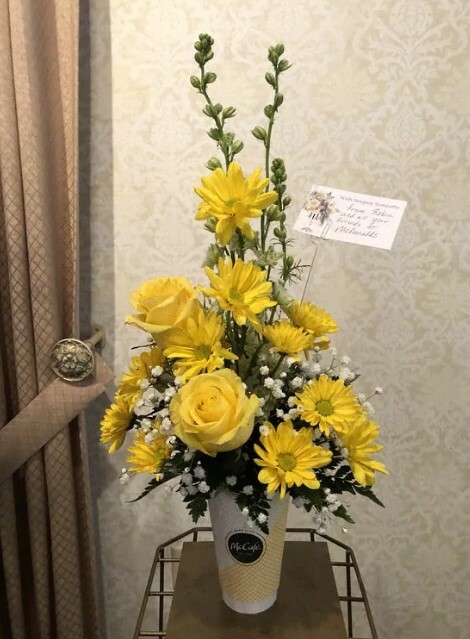 These flowers were sent by the staff of a McDonald’s location to the relatives of a deceased customer. The person used to visit on a daily basis and probably formed a bond with the staff. 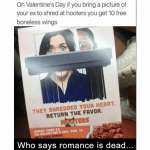 It might seem like advertising, but we are sure that they only intended to pay their respects for the person that passed away. The picture does not show much at first glance, but it has a sweet story behind it. 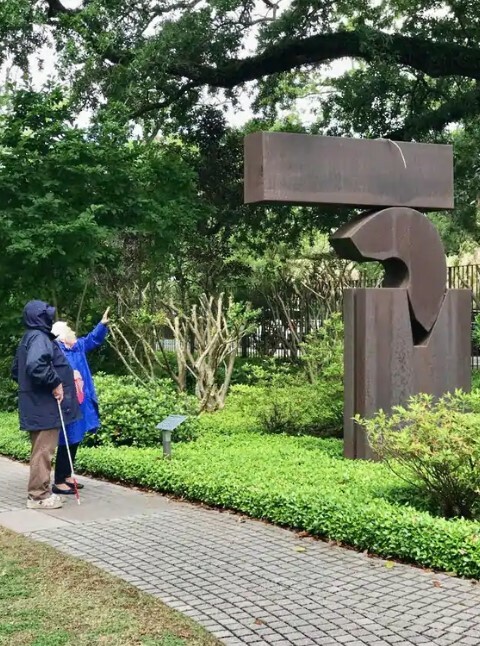 The couple you see in the photo is enjoying a piece of artwork in a museum. The problem was that the husband was blind! However, he could still enjoy everything because his loving wife described in detail every piece of art they passed by. This is what real love looks like! Caring for each other is all that matters! We need to see more of this real love and show it to those who claim that it does not exist. What better to see than a man interacting with wildlife in the best possible way! This photo is really cute and shows how a quick bond could be created between people and wild animals. 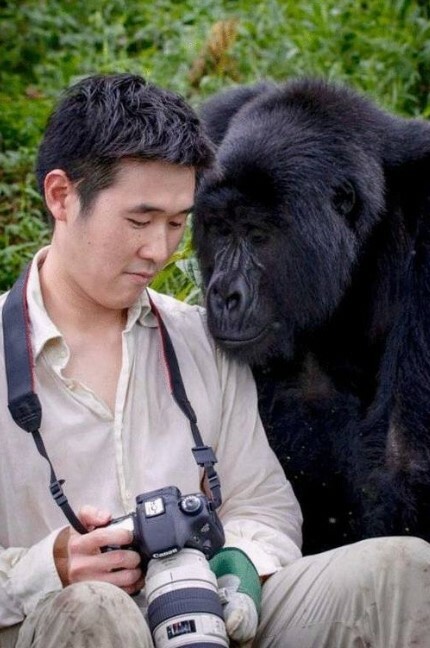 This photographer shares the images he took with a gorilla! He was probably glad to do it, and the gorilla looks really interested in seeing the shots! We wonder if it approved everything or the photographer had to take some additional photos. Spending fifty years with the same spouse is a lot of people’s dream. Some people are able to reach that and we think that it is one of the ultimate life goals! The people who are able to achieve it are really fortunate, and the owner of this van happens to be one of those people. 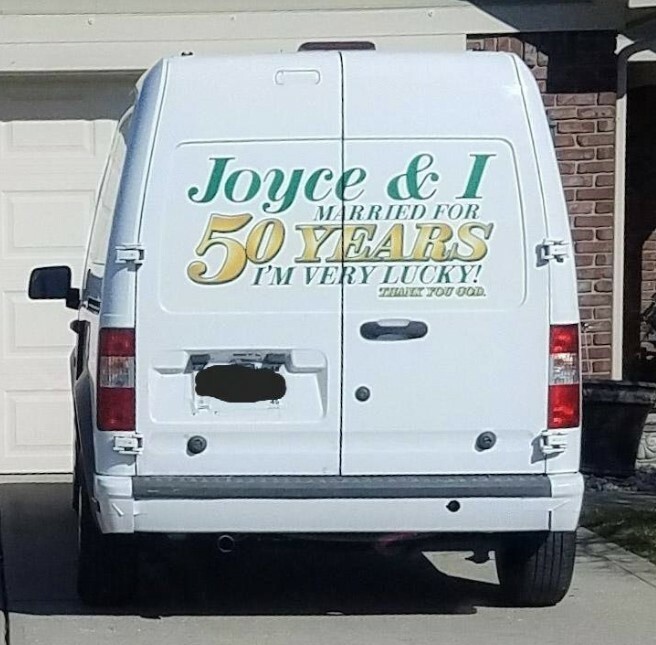 He also knew how lucky he was, so he decided to celebrate it by customizing this van. We like the idea of showing everyone this message! It is very inspirational and everyone who sees it would smile instantly! Some children are really adorable when they try to act as adults. They really think that they can be equal to the grown-ups if they do the same they do. This is exactly what happened at a one diner. The waitress shared the story of a three-year-old girl who tried to pay the whole bill with a Barbie credit card! Her family was probably pleased to see the toddler doing that! The waitress probably saw that and played along. After she returned with a bill especially made for the little girl, she got a surprise she did not expect. The toddler tipped her $3! Honesty and integrity are among the qualities that we like seeing in people the most! 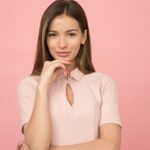 Doing the right thing even when you can benefit from a situation requires a lot of emotional intelligence. People need to realize that one act of kindness could mean a lot for someone else. The person who found this wallet obviously knew all of that! They decided to send it back to its owner, who apparently lived a whopping 1,600 miles away. 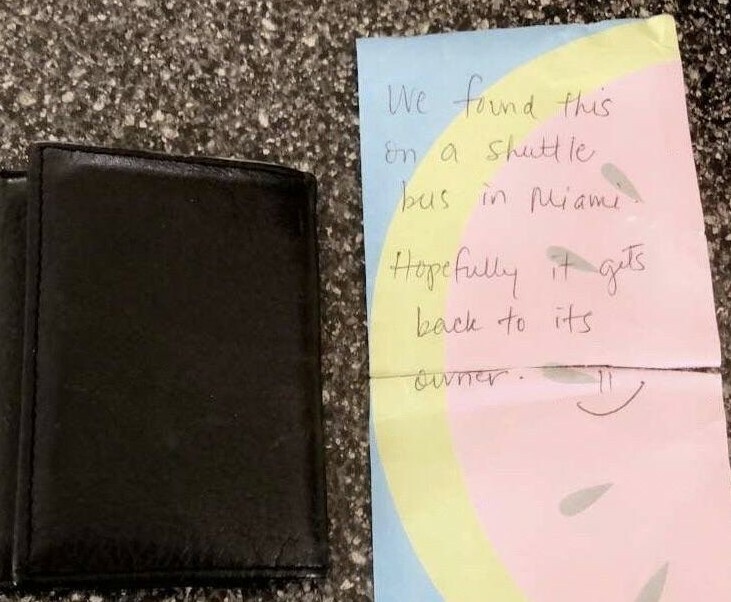 We could imagine how the wallet owner felt upon receiving their lost possessions! We admire people who are willing to offer help even when they cannot benefit from that. This is especially valid when we see someone helping animals. It takes a big and beautiful heart to lend a helping hand to a creature that could not even say ‘thank you’. However, sometimes these words are not needed, because only kind of gratitude that matters is the one you feel inside. 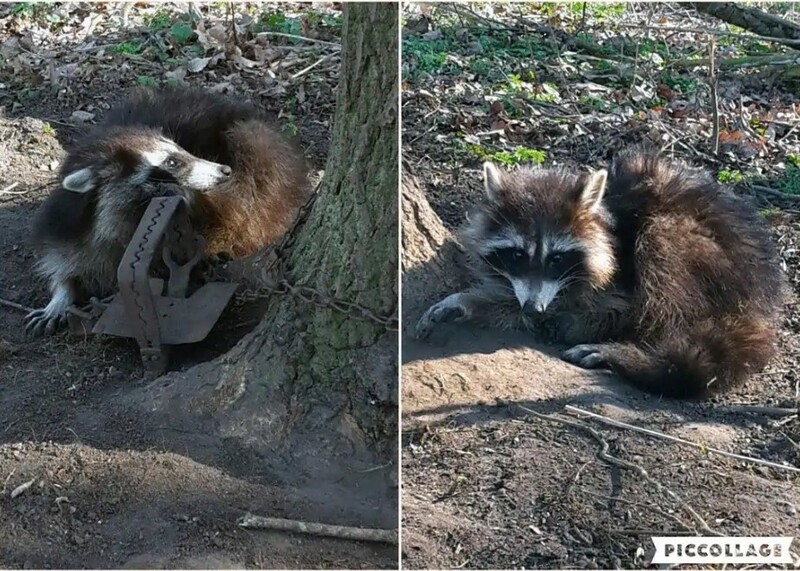 Somewhere in Europe a person saw this raccoon caught in a type of trap that was banned long ago. The person freed the animal and it took a moment to look at its rescuer’s eyes before going back to the woods. This beautiful story is a perfect example of how technology could change lives! 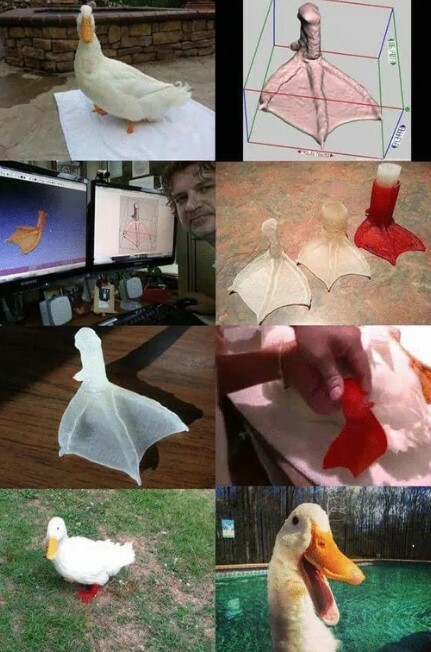 When this duck had its left foot amputated due to a deformation, kind 3D experts stepped in to save the day! They designed and manufactured a prosthetic leg for the bird! It looks amazing and the duck seems to be happier than ever! It is wonderful to see how a small effort could change a life for the better. We guess that the 3D specialists’ lives also changed after were able to help an innocent soul! The Parkland shooting hero is on the way to recovery after undergoing nine surgeries! 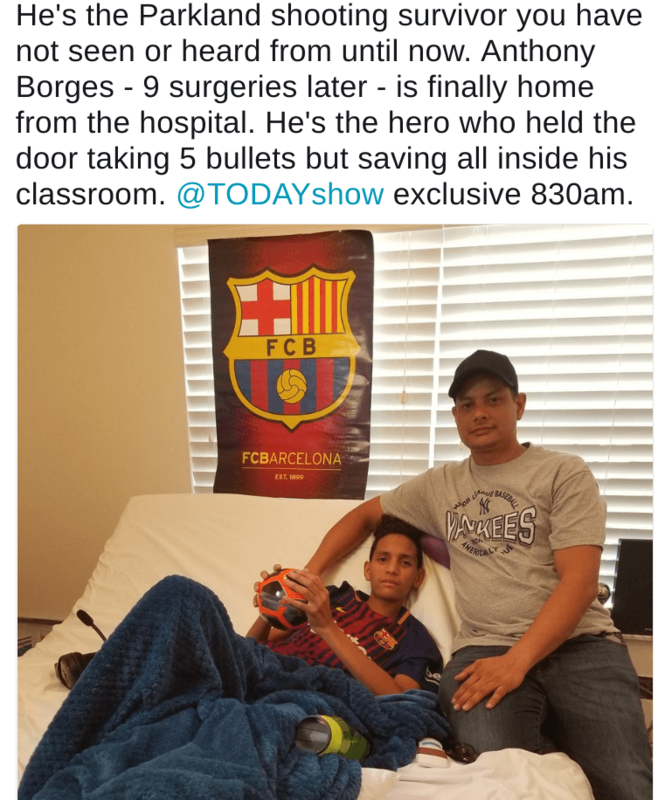 The boy was shot five times when he decided to hold the door so he could protect his classmates. It seems that his spirit is unbreakable and he is a real inspiration to everyone! His survival is a miracle, but the sacrifice he made to protect other is probably the most selfless act of kindness we will ever see. It takes courage and a big heart to do it, and Anthony has it all! Letting know that someone’s presence and efforts count is one of the best things you can do about them! This is exactly what NASA did with this project. 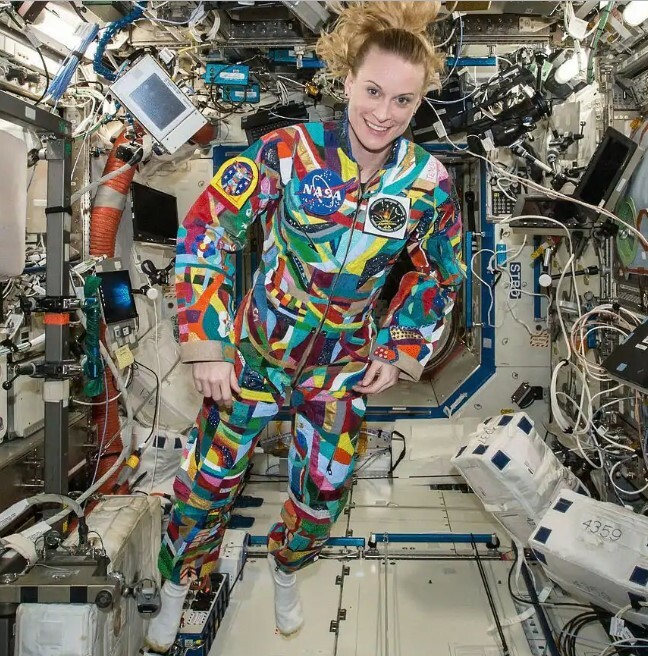 They allowed kids with cancer to paint a spacesuit by hand. The suit was later taken into orbit where the astronaut Kate Rubins wore it during a live chat with the kids! Imagine how proud they were to be part of all this! It takes a small effort to make someone feel significant. People are not all the same, no matter what we think. The difference between those who are special is the length they are prepared to go in order to do something significant. You can easily say that this young man is special! 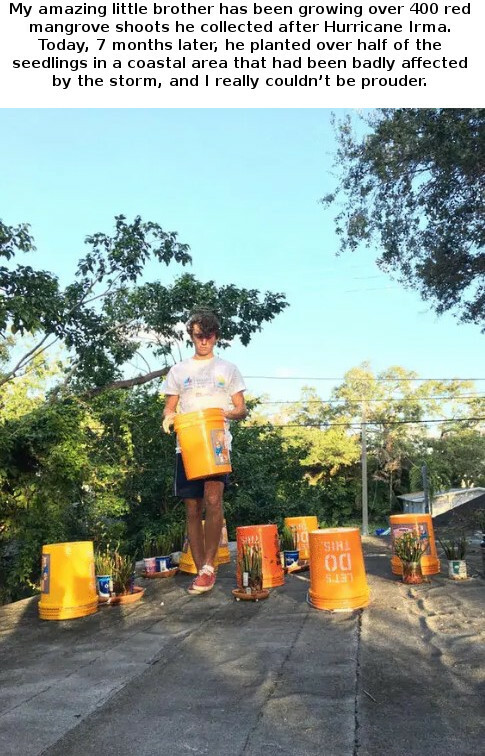 The effort he made to plant all those mangrove shoots after Hurricane Irma’s devastation is admirable! This proves that no matter what happens, the important thing will always be to react the right way and do what you need to do.